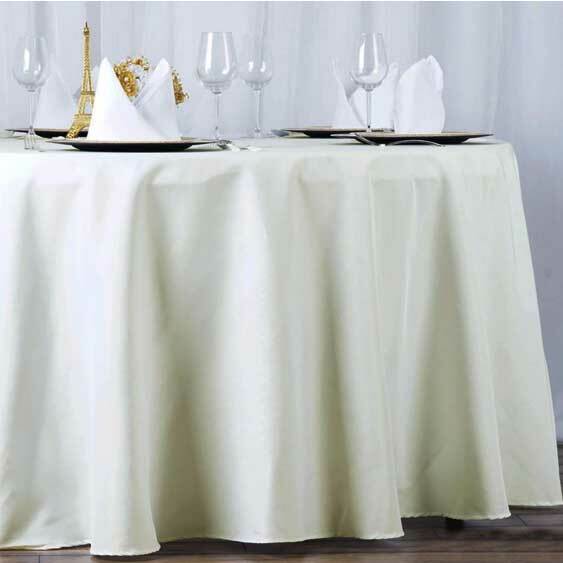 Description: For a more formal or elegant look, our NEW 120" Premium tablecloth has the same, no hassle design as other top quality polyester tablecloths! 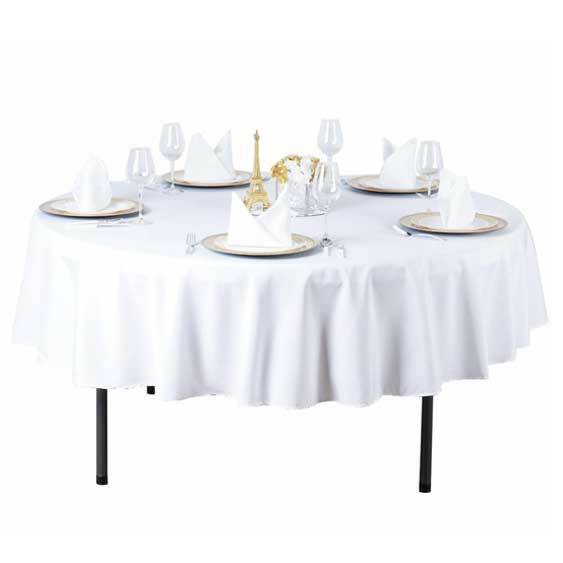 Simply out on your table and your pretty much done! Not to mention, it looks great! It looks graceful! And you've saved yourself so much time from a lot of extensive ironing. We invested a a little more money so our events benefit from the quality of the cloths while helping you put on exclusive-looking event in record time! 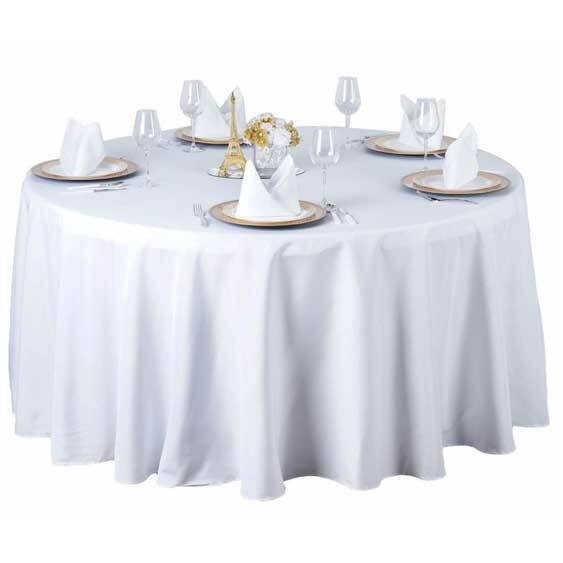 - Tablecloths are a seamless, 1pc design. 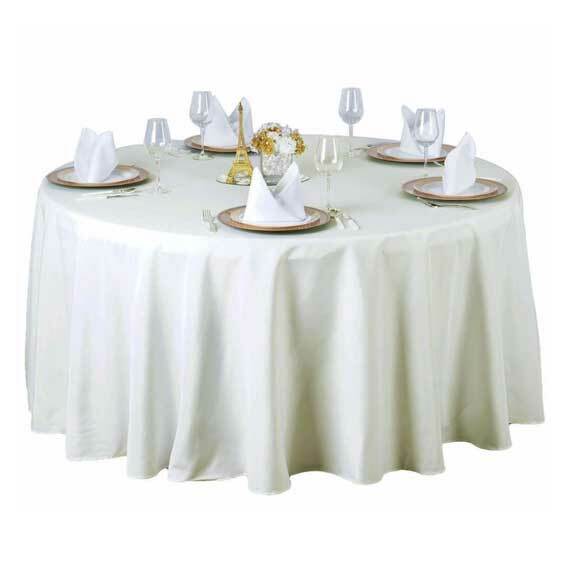 - Tablecloths have hemmed edges for an exquisite look. 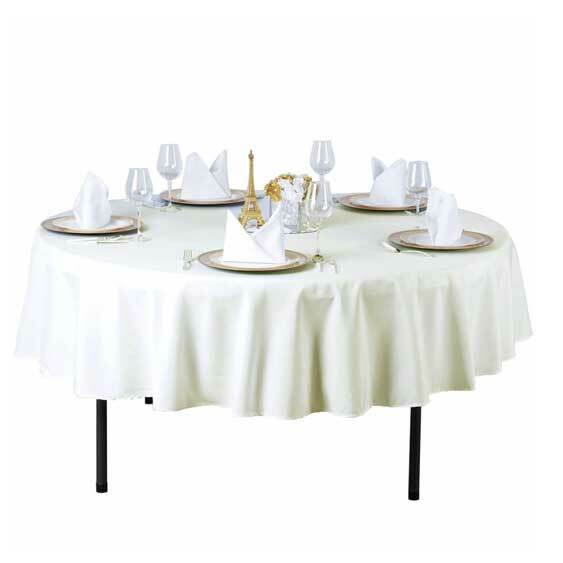 - Tablecloths are stain and wrinkle resistant.